D'Olyfboom Family Estate, 14 Napier Rd, Paarl. 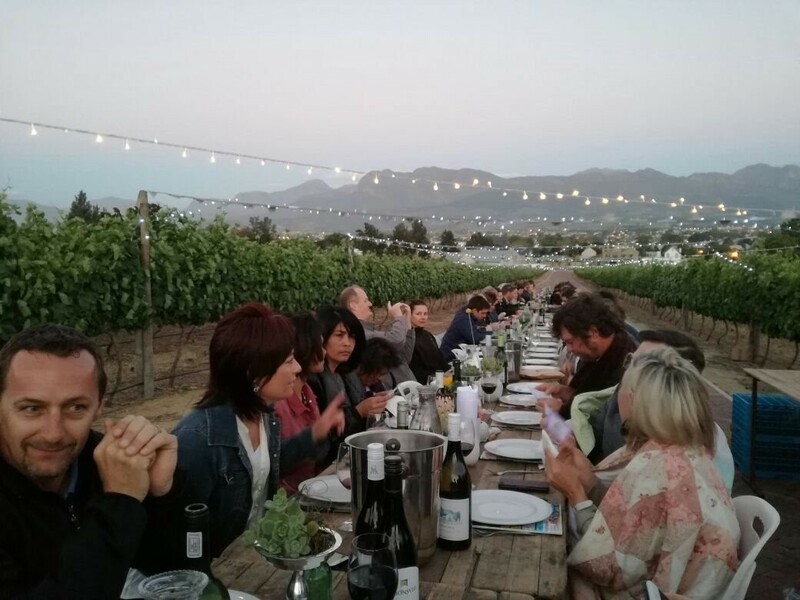 Included in that price is Entry to the venue, Lawn games, Welcome drink, Starter buffet, Main course Lamb on the Spit with table wine/water/juice, Dessert, Live music at welcome and during meal (From 19h00-21h00), coffee afterwards. The organisors support responsible drinking and driving and recommend that visitors make use of taxi services, Uber or allocate a designated driver. 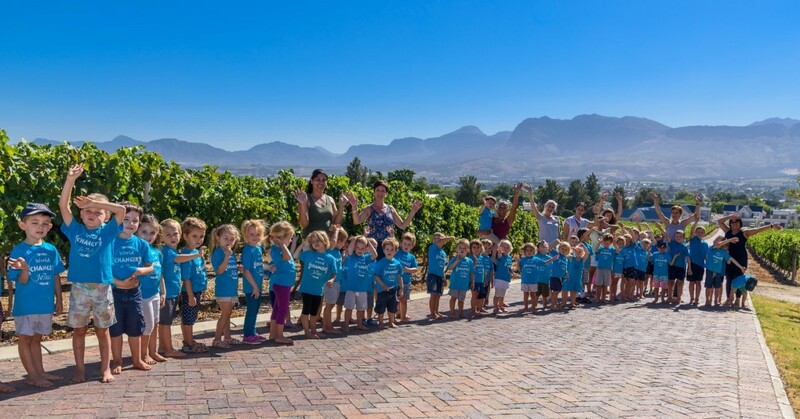 D'Olyfboom Family Estate is wheelchair friendly and offers disabled facilities. However, due to the numbers of visitors expected, parking may be up to 250m away from the Langtafel venue, which might have an impact on mobility. Follow the parking attendants' instructions once inside the gate. The event is held outdoors, although plans are in place for inclement weather. It is therefore recommended that warm clothing is brought along as it does cool down during the evening. Some seating is provided, although visitors are welcome to bring their own lawn seating like picnic blankets, cushions or low chairs. The event is The Family Tree Leadership Academy's main fundraiser for the year and guests are invited to participate in the silent auction and raffles. The kids of "Family Tree Leadership Academy" posed along the road where the Long Table will be set up.